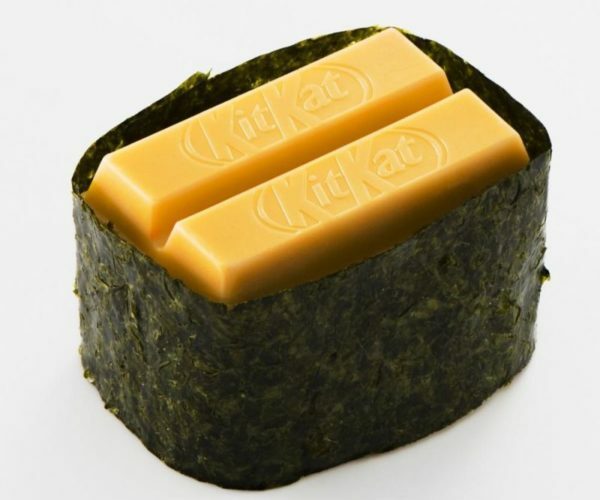 Japan has weird KitKats with all sorts of flavors we only dream of here in the US. In general, we only get normal and white chocolate, while Japan has all sorts of fruit flavors. 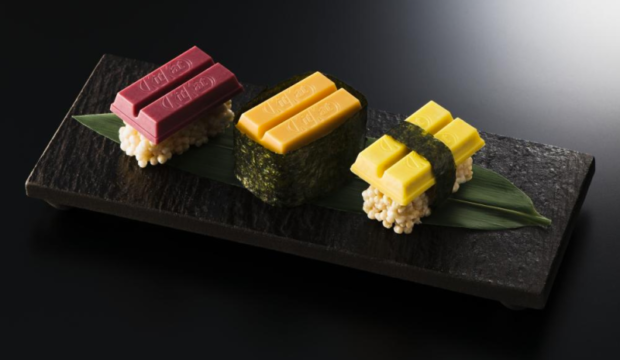 To celebrate the KitKat there is a new KitKat Sushi that comes in three flavors. 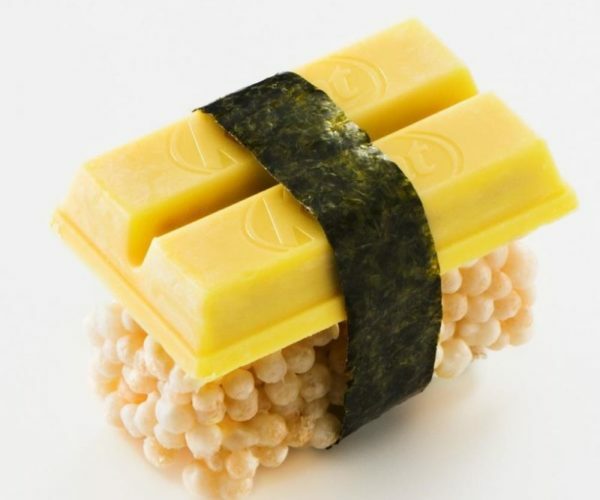 It seems none of the KitKat sushi actually has fish in it, but they are made to look like the real deal. 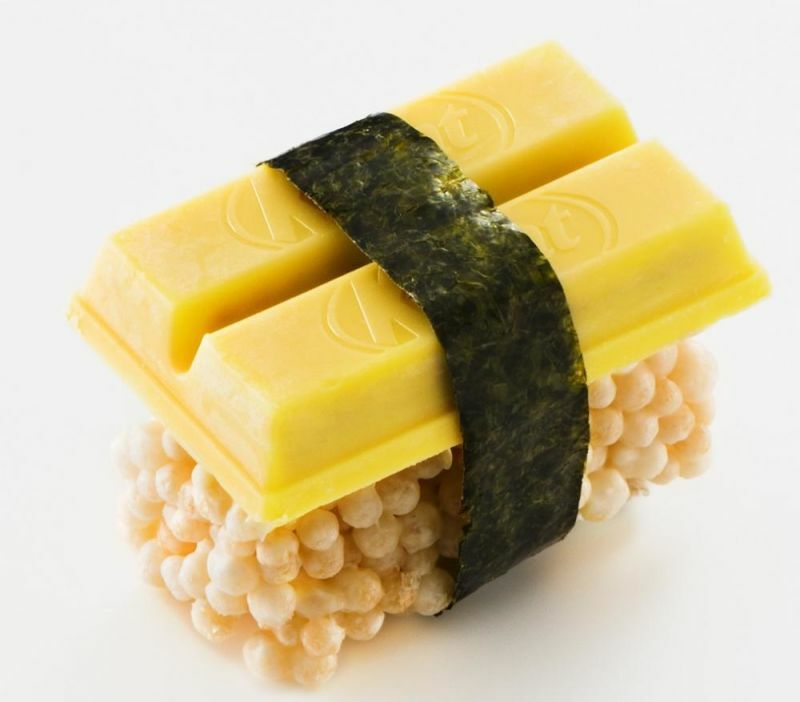 There are Maguro (tuna,) Tamago (egg,) and Uni (sea urchin) candies. 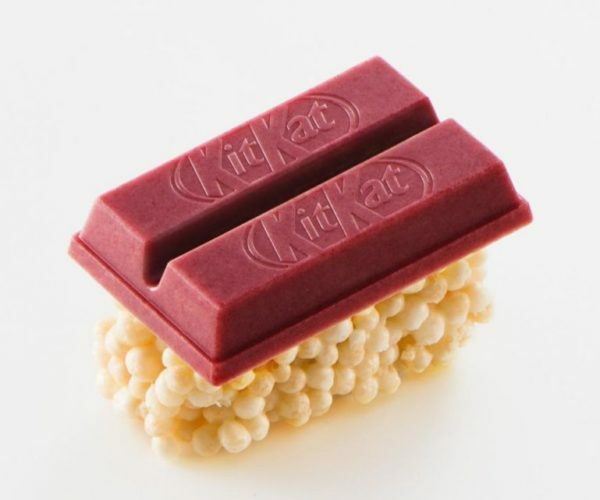 The maguro is a raspberry KitKat on puffed rice that is covered in white chocolate. Sounds much better than fish eggs to me. 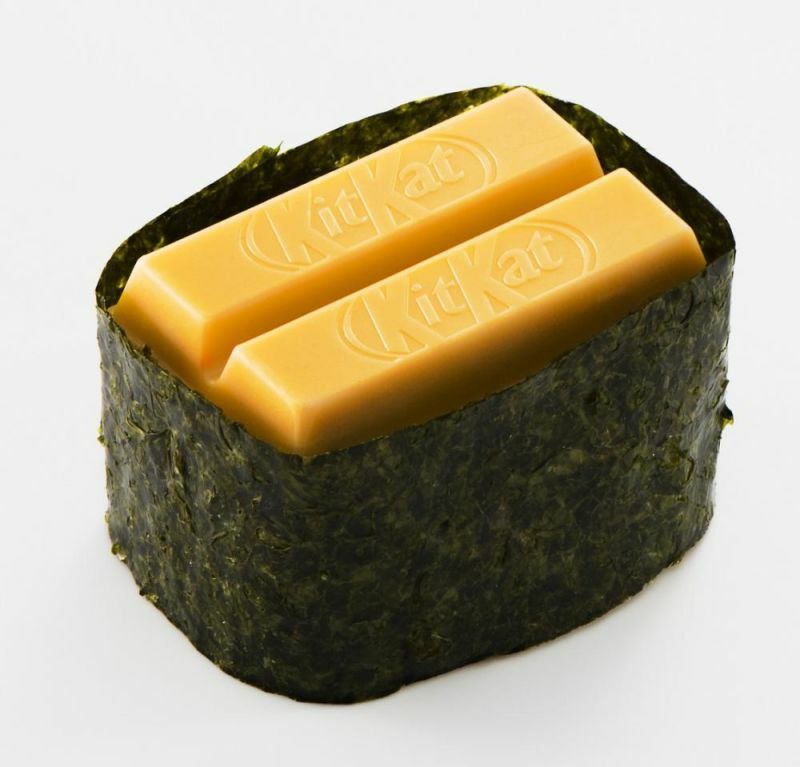 The uni has melon and mascarpone cheese flavored KitKat wrapped in seaweed. 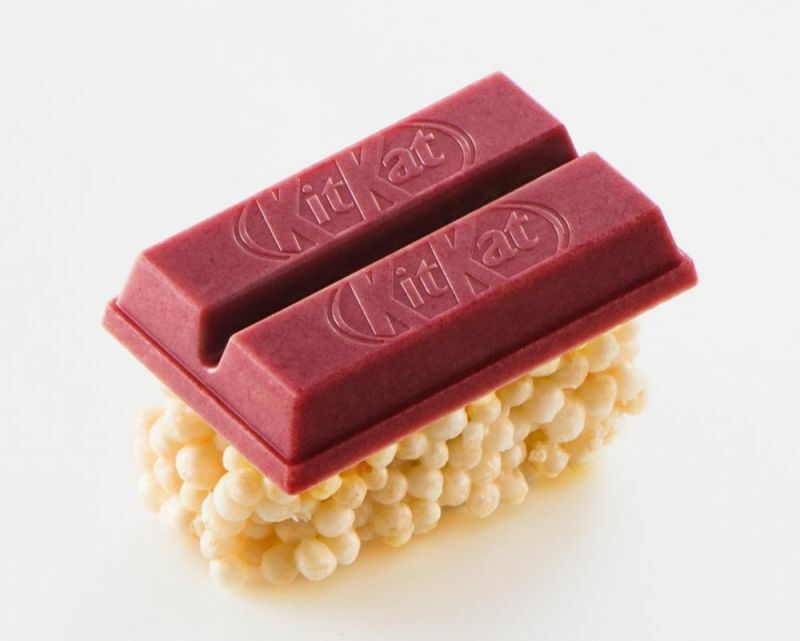 The tamago flavor has a pumpkin pudding flavored KitKat on white chocolate covered puffed rice. 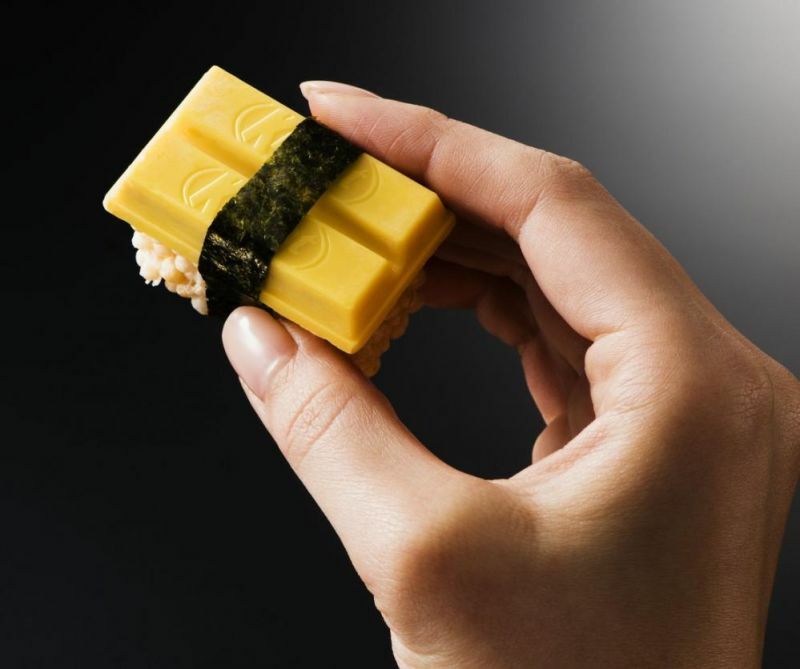 This time these are real, not an April fools joke like the KitKat sushi that popped onto the scene last year.